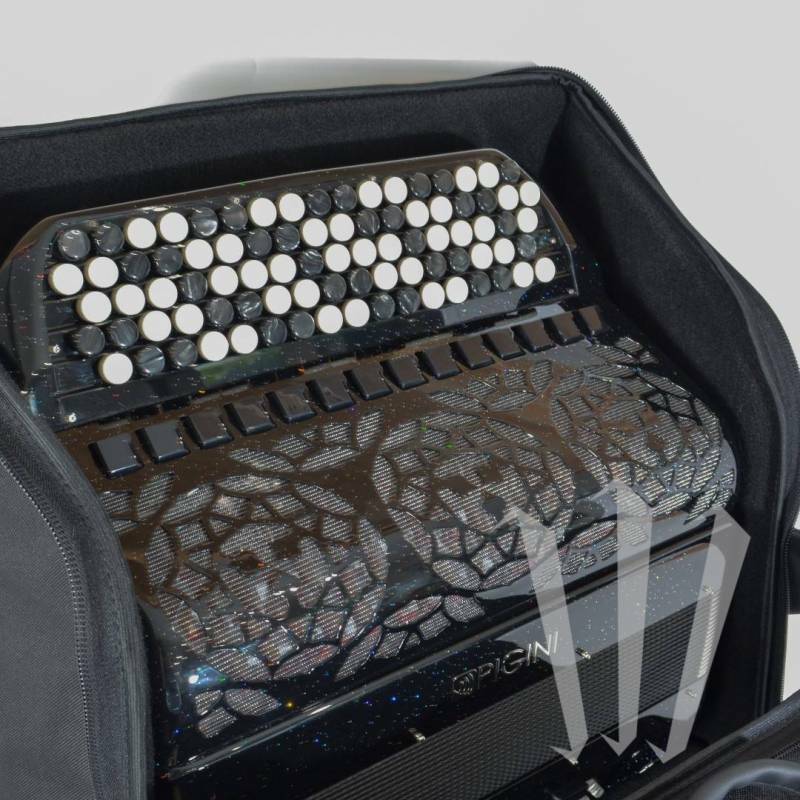 Chromatic button accordion Case (96 or 120 bass). 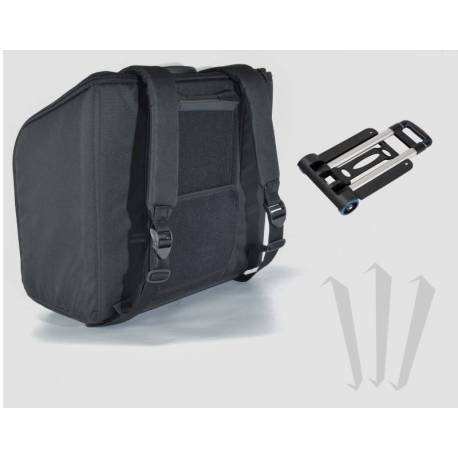 This case boasts extreme cushioning and a semi-rigid frame designed to ensure optimal protection. 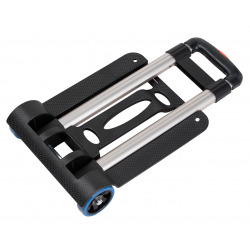 Specially designed to be used with a Trolley and provide a simple and comfortable solution for transporting large, heavy accordions. Width 38 cm to 44 cm. Thickness 18 cm to 23 cm. Italian made, this premium case is sturdy, finely finished and durable, thanks in part to strengthened zippers, and high protection against rain. 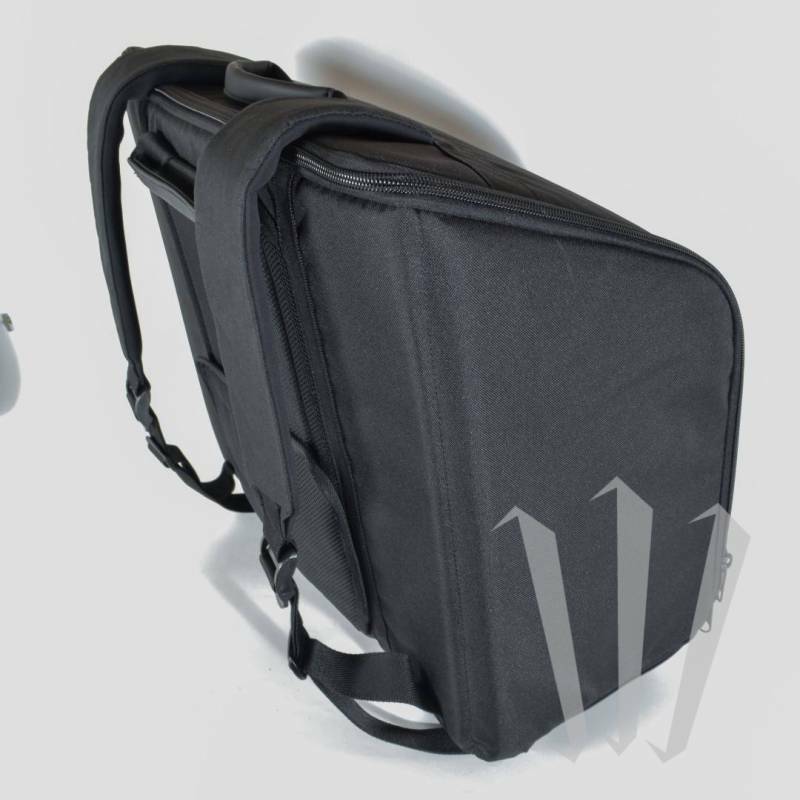 The back of the case is fitted with a pouch designed to fasten a trolley (sold separately). This semi-rigid gig-bag has been specially designed help carry and protect your accordion when traveling. Additional padding (see last picture) helps to absorb transport-induced shocks. 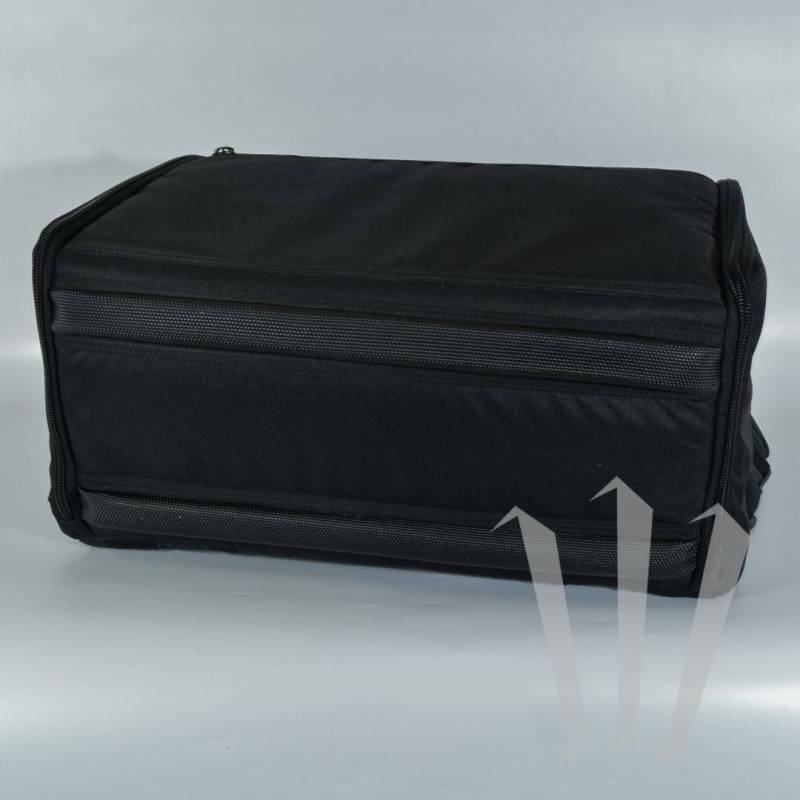 Its 3cm-thick velour padding provides maximum protection for your accordion. 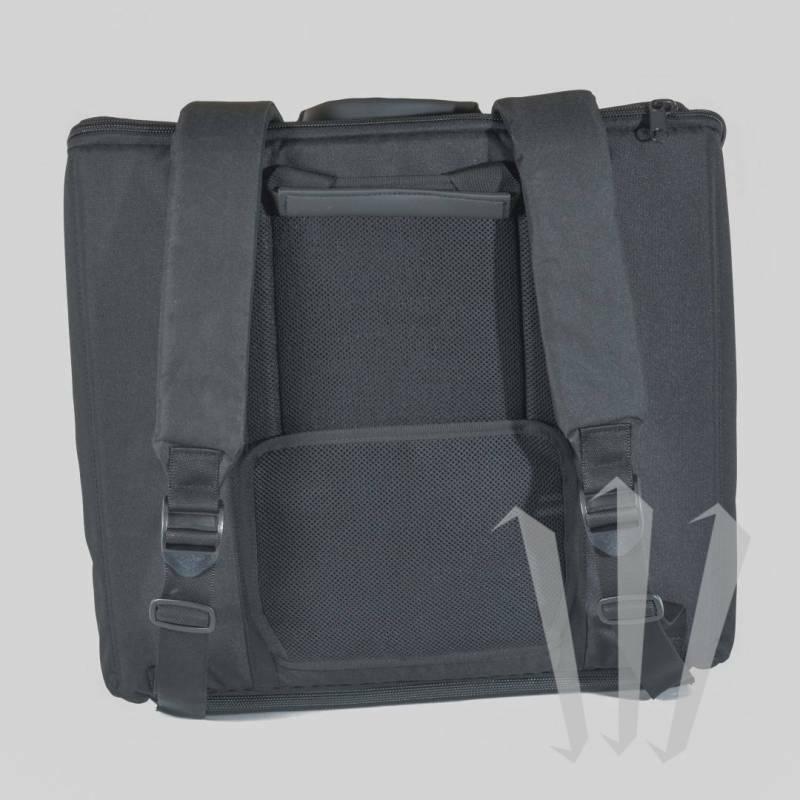 The straps are connected to each other at the back to prevent swinging. 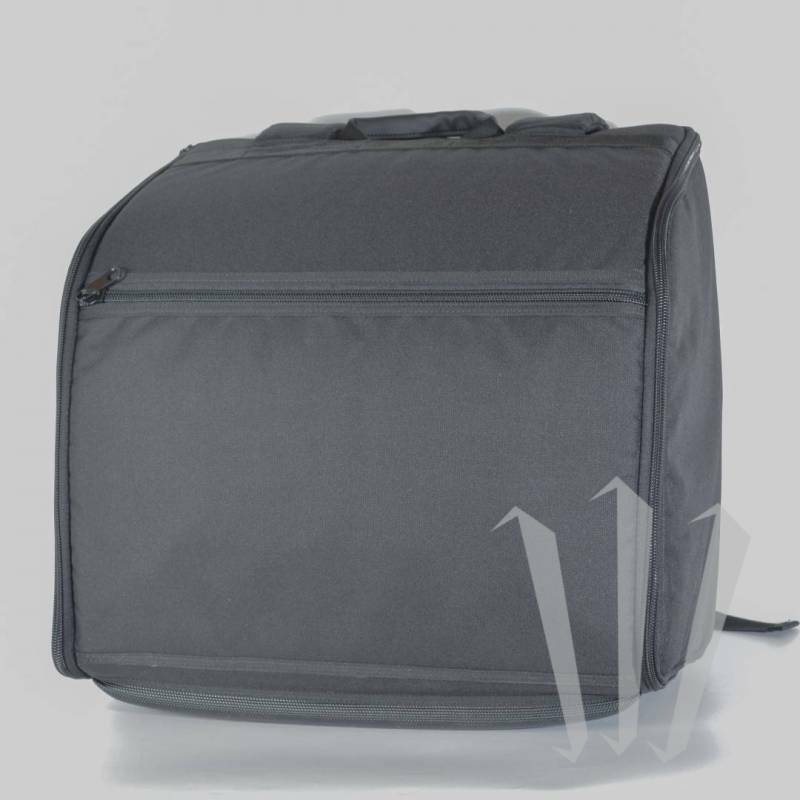 The back of the case is cushioned for extra protection and comfort. 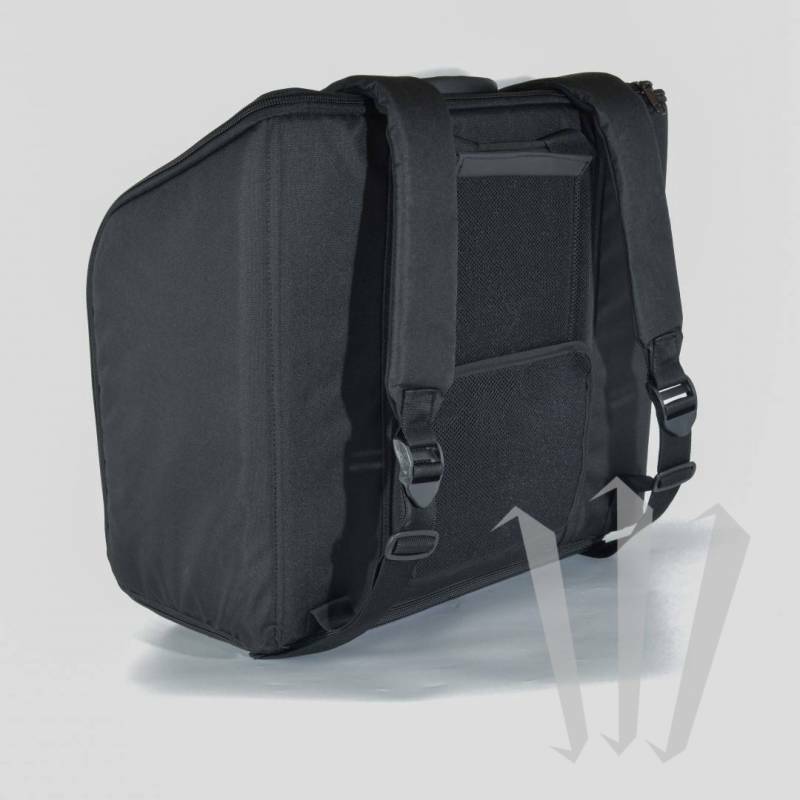 Large side pocket for scores and accessories.